An art is an Art in its truest form because it has been kept pure and original. If we don't maintain the purity of the Original Giron Escrima System it will be remembered by only a few and eventually be lost forever. I believe that this Warrior Art we were taught has been proven and needs no alteration. I will carry forth the teachings of my father, Leovigildo Giron as they were given to me. 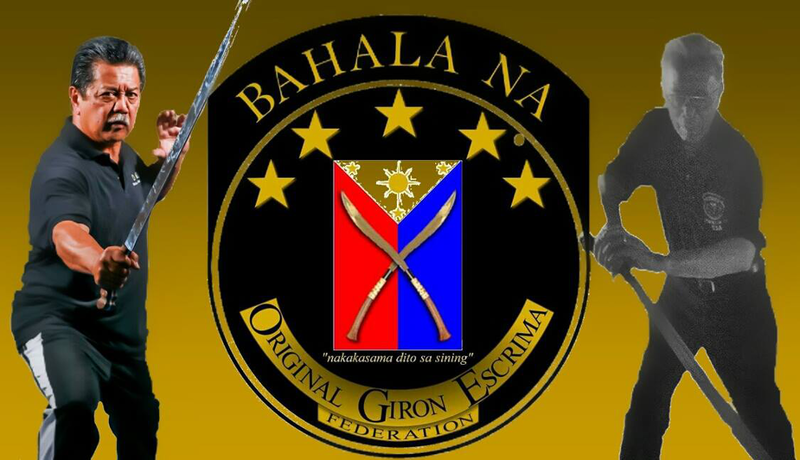 Therefore, the vehicle to make this happen is the creation of the "ORIGINAL GIRON ESCRIMA FEDERATION." Destined by blood and through this Federation we will continue to preserve the core of the warrior art of Original Giron Escrime System, the legacy of our Grandmaster, Leovigildo Miguel Giron and all of his original teachings.